What happens to the Christmas spirit when a church has to decide how to distribute 253 tickets that “Admit One to Heaven” to a congregation of more than 1,000? Join us at Matthew 25: Ministries for this charming, heartwarming, family-friendly holiday entertainment that celebrates the Christmas spirit. 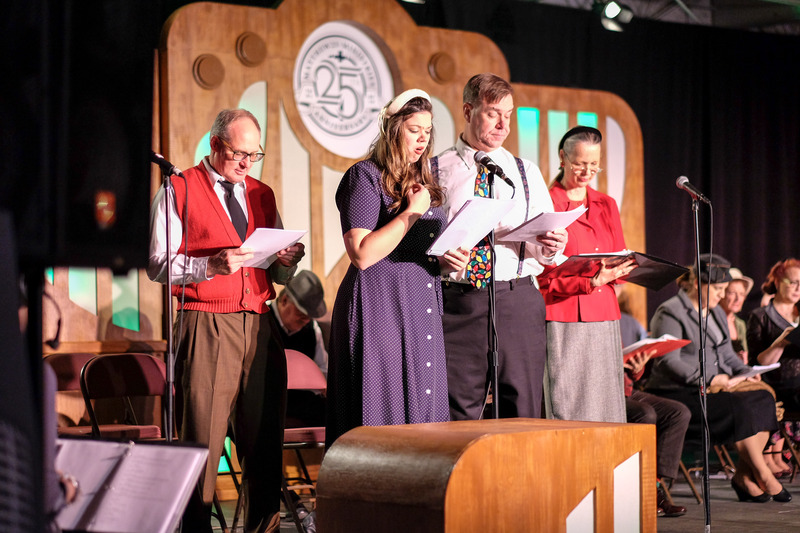 Tickets recreates the ambiance of an old-time recording studio, where actors perform in front of a live “studio” audience, complete with old style sound effects. Performances of Tickets the Radio Play are 12/1 (7:30PM) and 12/2 (3:00PM and 7:30PM) at Matthew 25: Ministries, 11060 Kenwood Road in Blue Ash.